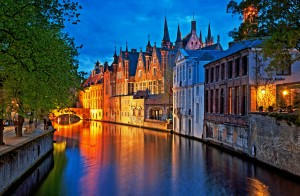 Bruges is one of Belgium’s most famous cities and is located in the north west of the country. Because of its astounding natural and architectural beauty it is often known as ‘The Venice of the North’. It attracts many millions of visitors a year and some like it so much that they even decide to stay! When you consider the advantages of living in Belgium, and especially in an amazing city like Bruges, it is no surprise that people want to stay. Not only is amazingly beautiful but it has a vibrant cultural life and can provide some excellent work opportunities too. 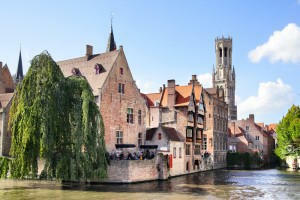 So if you’re lucky enough to be moving to Bruges then we at Moving Service would like to help you achieve it. For many years we have offered a comprehensive international removals service to our clients who want to relocate to Europe. We know what a stressful time it can be moving home internationally. That’s why our international movers are always on hand to help you in your move to Bruges. By calling 020 8746 4402 you can arrange a free consultation designed around your specific needs. Whatever international home removals services you require, we’re here to help. We help people move small amounts from flats and other smaller accommodation with our man with a van service. For those who have a lot more to take, we have a dedicated team of international home removals experts who work diligently and tirelessly to make your move a breeze. Organising your own international home removal service can be a costly and time-consuming affair. Firstly, there is all of the packing to do which can take up a lot of time and energy- especially if you want all of your pieces to arrive just the way they left. Secondly, the cost of hiring out transportation especially for such a trip can cost a surprising amount and besides it’s far easier to fly and leave all the leg work and tiring driving to us! Lastly, we know from years of experience that our clients already have enough to think about what with moving to an entirely different country. So why not leave all the physical hard work to an international moving company who specialise in home removals from London to Bruges? You are far less likely to risk personal injury due to all the heavy lifting and we are sure that our expert removals team will take great care of you. There is already enough stress associated with making such a large trip and we think our cost-effective service is perfect for those who want to move a little or a lot at very low rates. Not only is our service very cheap, we take extra care with all of your belongings and treat them as our own. In this way, we can assure you that all of your goods will make it safely to their destination. This is a big worry of many people undertaking an international move so, naturally, the wellbeing of your possessions is always at the forefront of our thinking. When you decide that you are ready to make the big move to Bruges give the international home removals specialists at Moving Service a call on 020 8746 4402. We will arrange a free quotation based on your requirements and we are sure that you will find our prices very hard to beat. So take all the stress out of an international move to Bruges and choose the best home removals company around. We guarantee that you won’t be disappointed with our terrific service!